We Are Obsessed With Watches! 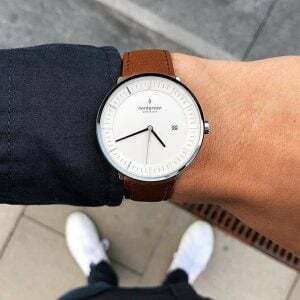 Stuhrling Watch Review – Top 10 Men’s Collections! 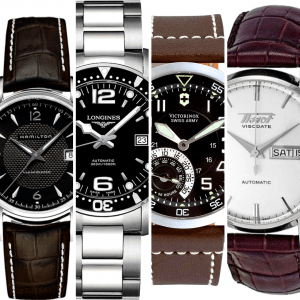 If you have shopped for watches lately, you probably know that the selection is massive. There are literally thousands of watches from which to choose and it is a pain to go through them all—to quote a famous meme, “ain’t nobody got time for that.” Instead of going through page after page of watches, why not try only looking at the top brands for women’s watches? If you’re not sure what those are, keep reading to learn. Chanel’s designs are based on classic themes but pumped up with the glitz, glamour, and sophistication that one normally associates with the Chanel brand. 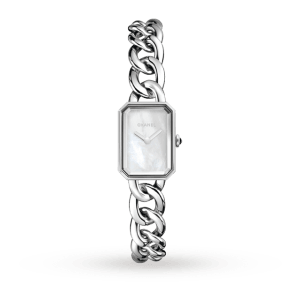 This dainty and slim watch has a unique mother of pearl square face and twisting stainless steel silver band for a classic and elegant look. The dial window is made of scratch-resistant sapphire crystal and the unit uses quartz movement. The silver and white combination is ultra-feminine without being excessively girly. It features eight tiny diamonds on its bright white face. Despite its appearance, this watch is surprisingly hardy—it can even be worn while scuba diving. The downside is that it is totally non-luminous, which can be a real pain if you’re scuba diving in dark water. Baume & Mercier is a Swiss watchmaking company whose history dates back to 1830. Their work comes in a variety of different shapes and sizes, making it possible for everyone to find something that they like. 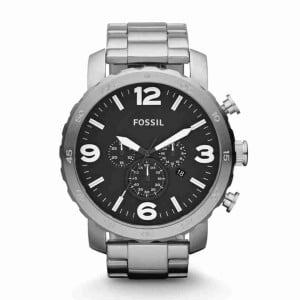 This watch is great for casual wear because of both its more toned-down look and its sturdy construction. The dial window is made of sapphire crystal, the band is real alligator leather, and it uses Swizz quartz movement. This is not a watch for water activities, as it is only water-resistant to 30m. For those who are not fans of the pink, this style also comes with a black band option. 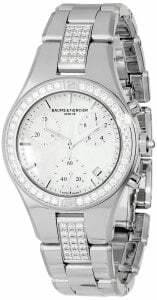 This is a Baume & Mercier watch for more formal occasions. The bezel contains 42 diamonds and the lugs contain 36 diamonds, making this a watch with serious sparkle. 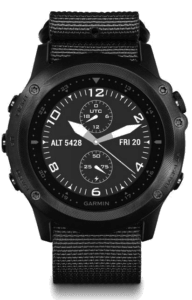 It features three subdials for accurate timetelling and is water-resistant to 50m. Plus, the strap is interchangeable, which is a smart feature for someone who tends to get bored with their accessories. Unlike many of the other luxury brands on this list who got their start in Switzerland, Cartier was founded in Paris, France in 1847. King Edward VII once said Cartier was “the jeweler of kings and the king of jewelers,” and, indeed, their designs have been featured on countless members of royal families and high-profile celebrities. The quality and beauty of their timepieces allows them to compete with the best Swiss watchmakers. This two-toned Cartier watch is classy and subtle, perfect for professional occasions when sparkly, shiny glamour is not particularly appropriate. The dial window is made of sapphire crystal, it is water-resistant to 30ft (so no showering with it on), and made with Cartier Calibre 057 Swiss-quartz movement. Additionally, this timepiece looks expensive and impressive, which may not matter to some, but will matter a great deal to others. 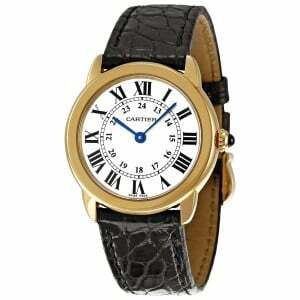 This is another understated and subtly elegant timepiece by Cartier. 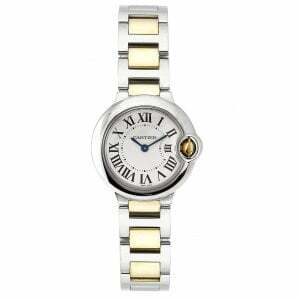 It has a bold yellow-gold case, bright white face, and easy-to-read Roman numerals. Like the other watch profiled above, this watch is only water-resistant to 30m, able to only withstand splashes of water. The dial is made of sapphire crystal and the band is made of gorgeous crocodile leather. 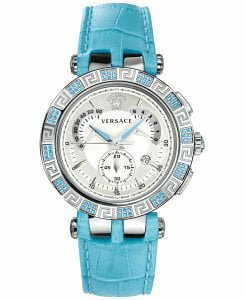 If fun colors and slightly non-traditional designs are what you like, then Versace watches are definitely the ones you should see. 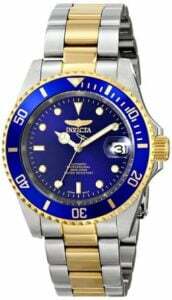 Some watch snobs may look down upon designer labels getting into the watch market, but if you’re just looking for an attractive, eye-catching, quality watch, then there is nothing wrong with choosing a designer brand watch. This is the watch to wear if you are looking to complement an outfit or add a punch of color to an outfit made up of otherwise muted shades. The bright blue is a gorgeous shade and is accentuated by the blue stones on the bezel. This watch is water-resistant to 50m, making it suitable for showering and swimming. Additionally, there should be no worries about this little beauty losing its looks, as the dial window is made of anti-reflective sapphire crystal and the band made out of leather calfskin. 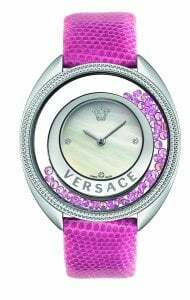 In the case the blue watch was not bright and happy enough for you, meet Versace’s Destiny Spirit watch which, as you can see, is hot pink. The band is made of genuine calfskin lizard andthere are 70 pink sapphires within the sturdy stainless steel bezel. Sapphire makes a second appearance as the material used for the dial window. 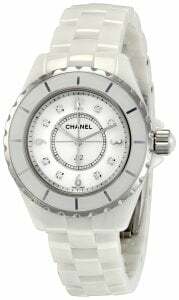 Overall, this is a great watch to glam up casual wear. 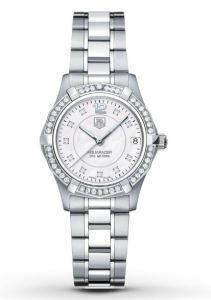 TAG Heuer is one of the oldest and most prestigious watchmaking companies on Earth, with a history dating back to 1860. They have been the official timekeeper of three Summer Olympics and have worked with an incredible amount of celebrities, male and female. TAG Heuer’s Aquaracer watch is both gorgeous and extremely functional. It is water-resistant to 300m and has luminescent hands for easy underwater reading. The bezel and face are set with diamonds, which look gorgeous against the white mother of pearl dial. This is a versatile piece that is appropriate for professional and even formal occasions. For the woman who wants a little bit of an edge to her wrist accessory, there’s this breathtaking Formula 1 watch. The black detailing gives this timepiece a dramatic flair and mysterious air. Combine its appearance with the luminous hands and durable design and you get a watch that looks like something the female James Bond would wear. 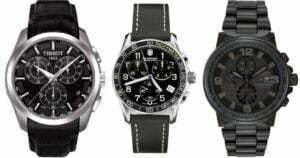 In case your budget doesn’t allow you to buy a watch from the above list, there are less expensive brands that produce high quality, attractive timepieces for a much lower price. Burberry watches are reasonably affordable (mostly), of good quality, and, of course, incredibly cute. They also come in a variety of styles and colors that are appropriate for a variety of different occasions. 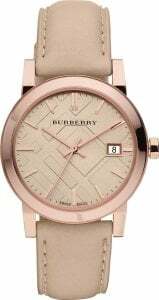 This Burberry timepiece is elegant and simple—the perfect accessory for a business outfit or dressier casual outfit. However, don’t let the appearance fool you. This unassuming little beauty has a sapphire crystal dial window and is water-resistant to 50m, making it wearable during both swimming and showering. For the lady who wants to make a statement, there’s this all black watch with diamond accents. 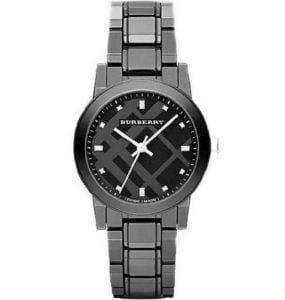 Sleek, slightly mysterious, and glamorous, this Burberry timepiece is a good choice for business, semi-formal, and formal occasions. 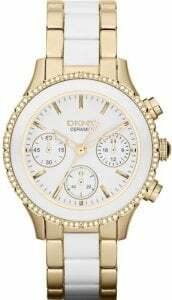 DKNY is another designer brand that has dipped its perfectly pedicured toe into the watchmaking industry. Their designs are a bit more traditional than those of Versace, featuring classic shapes and the usual colors of gold, silver, white, brown, and black, rather than bright blues or pinks. Slim and petite, this ceramic and stainless steel watch is sophisticatedly feminine and dressy enough for any formal occasion, but understated enough for the workplace. This is a small timepiece, perfectly suited for the smaller wrists of a woman and sparkly enough to catch the eye without being overly “blingy.” The only downside is that the dial window is made of scratch-resistant mineral crystal, not the stronger sapphire crystal variety. How fabulous is this watch? The gold and white coloring and the diamond-encrusted bezel make this timepiece exude elegance, class, sophistication. It manages to be eye-catching without being either ostentatious or giving off an air of “trying too hard.” It is a thing of effortless beauty—perfect for formal occasions. 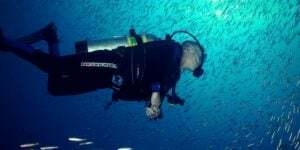 Casio is an industry staple mostly known for their affordable and durable sport watches–ideal for anyone who enjoys outdoors activities, including those that involve water. This is a watch that is as sturdy and rugged as you are! It is shock-resistant and water-resistant to 100m and features 29 time zones, world time, LED backlight, five daily alarms, including the all-important snooze button, countdown timer, calendar, and a two year battery life. 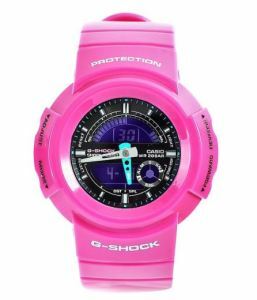 If hot pink sport watches are what you want, look no further—the king of sport watches is here with this reliable G-Shock. It is water-resistant to 200m, luminous and includes a backlight, shock-resistant, scratch-resistant, and the pink resin case and band is easy to clean and maintain. It also features several alarm options that are not so loud so as to wake the dead, but they will definitely rouse the living. If you’re in the market for an affordable but extremely glamorous and eye-catching timepiece, Michael Kors definitely has some watches worth looking at. Additionally, if having a watch that looks expensive is important to you, Michael Kors creates some of the most deceptively pricey-looking watches on the market. 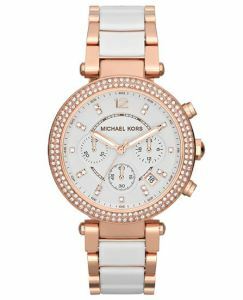 This white and rose gold two tone watch is elegant and eye-catching without being ostentatiously flashy. The rose gold is a nice change from the traditional yellow gold and is offset beautifully by the white band and face, as well as the ring of sparkling stones on the bezel. This timepiece is water-resistant to 50 meters, has a mineral crystal case, and is luminous. It’s a great choice for any professional or semi-formal event. When you’re building an outfit, you can’t go wrong with tortoise—it looks good with almost anything. 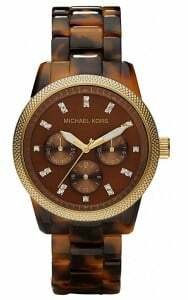 It is a neutral, warm shade that adds richness and depth to whatever piece in which it is used and this Michael Kors watch is no exception. The crystals on the dial give it an extra bit of glam factor, plus it is water-resistant to 100m, making it functional as well as extremely attractive. Very few brands in its price range can beat Citizen in attractiveness and efficiency. How are they efficient? 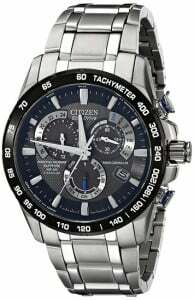 Most, if not all, of Citizen’s watches use their Eco-Drive feature, which removes the need for batteries by charging the watch whenever it is in both natural and artificial light. 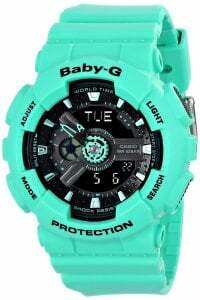 This is a great watch for casual wear not only because of its classy yet casual look but because of its anti-reflective sapphire crystal casing, which protects it from all but the harshest of situations. 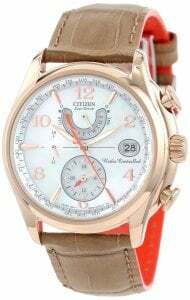 For the woman who is looking for a watch that will function as a piece of jewelry, there is this bangle watch from Citizen, which looks and feels more like a bracelet than a traditional watch. The pearly face and rose gold case and band go perfectly together and the 10 Swarovski crystals add just a little bit of glitz to this already beautiful watch. When shopping for your next watch, try shopping by brand if you start to feel overwhelmed by options. 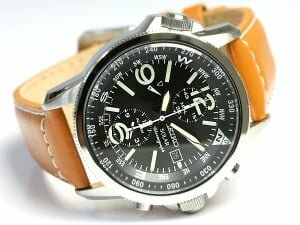 Using review articles like this one can be a great first step in finding your perfect watch. 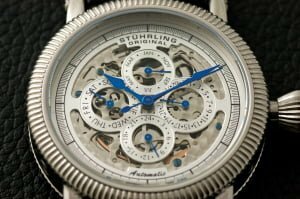 If you’ve only ever shopped for watches at brick-and-mortar retailers, the name … [Read More...] about Stuhrling Watch Review – Top 10 Men’s Collections!